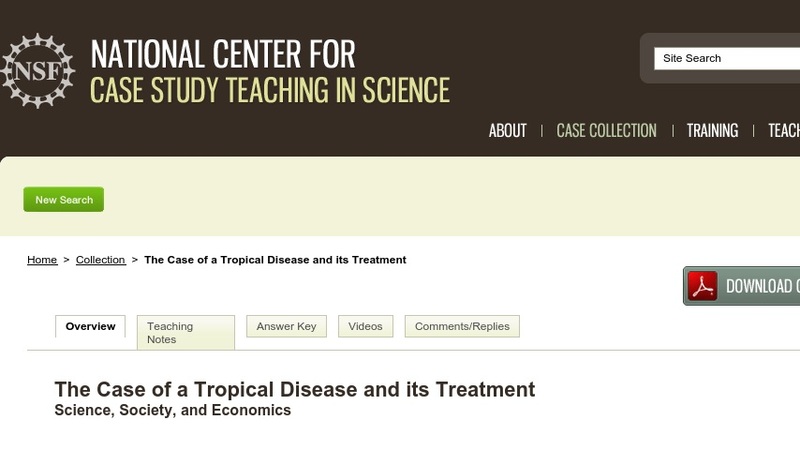 This case study highlights the epidemiological and socioeconomic factors associated with a disease which plagues thousands of people in Central and South America. The case follows the story of Adrian, a banana plantation worker in southwestern Costa Rica who develops a mysterious illness. Students learn about infectious diseases, pathogens, and vectors endemic to the region, and are asked to diagnose Adrian’s illness and consider his dilemma with respect to treatment options. The case is appropriate for courses with a component on health care, pharmacology, microbiology, medical anthropology, ethnobotany, or epidemiology. Instructors can choose to focus more on the biological components of the case or more on the socioeconomic and ethical aspects, depending on course goals and subject area.